Louis Klein is one of the leading homeopaths worldwide. His latest book on miasms and nosodes is a ground-breaking pioneer work in the field of homeopathy. On the basis of his broad clinical experience, Louis Klein attributes many known remedies to miasmatic states. A miasmatic state becomes the core idea around which similar remedies are grouped. For example the Tetanus miasm comprises not only Tetanus nosode but also remedies like Hypericum, Angustura, Helodrilus and Tellurium. It is clinically linked also with tetanic syndromes, spasms or even convulsions. This new classification of miasmatic remedies is highly practical and opens a new chapter in homeopathy, demystifying and redefining the existing miasms, while adding several important new ones. It also introduces new remedies like Johneinum and Helodrilus, which he has proved extensively. So Louis Klein’s work on miasms and nosodes is indeed a homeopathic milestone. In this first volume Louis Klein presents in-depth information on Burkholderiales including the Pertussis miasm; Clostridiales including the Tetanus miasm; Corynebacteria including the Diphtheria miasm; Mycobacteria including the Tubercular and Leprosy miasms, plus the newly proven remedy Johneinum, linked to the Crohn’s disease miasm; Enterobacteriales including the Bach Bowel Nosodes, the Typhoid and Yersinia miasms; and Parasitic Protozoa and Parasitic miasms including the Malaria and Toxoplasmosis miasms. All this practical information is illustrated throughout with excellent case examples from two decades of homeopathic practice, which speak for themselves. This book is in a class of its own. 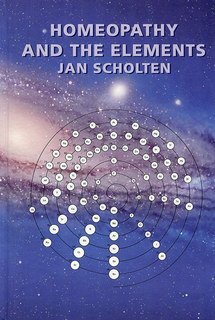 As Rajan Sankaran is known for plant remedies and Jan Scholten for the periodic table, Louis Klein will be known for miasms and nosodes. "This book is a must for every homeopath who wants a deeper understanding of the state of patients and practical guidelines for case management beyond the first simillimum. Congratulations Louis, Homeopathy owes you!"